You are here: Home / news / LAB11, a fresh New Venue Set for Launch in Birmingham with a Season of Leading Techno acts. TRMNL, the recently relaunched and now infamous Birmingham-based techno brand, is proud to announce the opening of its brand new flagship venue LAB11 in the heart of Birmingham’s Digbeth district. Launching on Friday, 30th March 2012 with an exclusive VIP and media launch event, the venue will open to the public in full on Saturday, 31st March 2012 when the king of aliases and re-edits Radioslave, aka Matt Edwards, will headline the very first ‘TRMNL Presents…’ regular Saturday night slot. Radioslave will be joined by underground hero Mark Henning who between them will be getting the opening week off to a flying start from the outset. TRMNL Music & Events, the main promoters for LAB11 are also proud to announce the first eight weeks of ‘TRMNL Presents…’ line-ups. TRMNL Presents… will see some of the best names in house and techno take to the decks in the custom built surroundings of Birmingham’s newest music venue. Between now and Saturday, May 19th 2012, LAB11 will be the only destination for music fans who are serious about their techno. On Saturday, 7th April 2012 (Week 2) Detroit legend and dancefloor pioneer Carl Craig will continue to stun crowds the world over with his forward-thinking and prolific attitude to new sounds and music, proving why his grammy-nominated success continues to grow. Carl will be joined by Lauhaus, the Dutch dj/producer who has been making waves on the Dutch techno scene for the past 10 years. Saturday, 14th April 2012 (Week 3) welcomes Mobilee Records’ longest serving artist Sebo K, a man who is renowned for his fusion of cutting edge house music and classic edits and he is joined by German club king Markus Fix. Saturday, 21st April 2012 (Week 4) will see one of the Minus label’s most exciting artists, Barem, whose unique use of cutting-edge technology and programmes such as Ableton and Reason to create innovative and forward-thinking electronic music will be brought to LAB11 for the first time of what we hope will be many in his burgeoning career while Barem’s support comes from Einzelkind. The duo, featuring Miguel Ayala and Arno Volker, stand for quality underground house music and run the labels La Pena and Jax for like-minded under-the-radar artists. Saturday, 28th April 2012 (Week 5) will welcome the Panorama Bar resident Andre Galuzzi who has a colourful attitude to techno and is famed for his marathon-long sets that take clubbers on a journey from one musical style to another. His imprint ARAS, founded alongside Dana Ruh not only releases their own musical creations, but gives a platform for unheard-of producers, fitting perfectly with the LAB11ethos for supporting emerging talent. Andre will be joined by Marco Farone who recently released an EP via the Moon Harbour Recordings label. Week Six – Saturday, 5th May 2012 – will be a bank holiday special and further details will be announced shortly while leading the charge on Saturday, 12th May (Week 7) will be British duo Audiofly with main support coming from fellow homegrown rising talent Samu.L, who has been picking up high praise from industry heavyweights including tINI, Ben Klock and Steve Lawler, for his productions and edits. Last but by no means least, Week 8 – Saturday, 19th May 2012 – will play host to Cocoon-signed DJ and producer Onur Ozer, the widely regarded king of minimal techno who is revered for injecting new life into the tired Turkish club-scene. Onur will be joined for the final Saturday night of the launch season by Ali Nasser, the Romanian DJ and producer who champions anything and everything deep house and releases productions and remixes on imprints such as Supernature Recordings and Be_Chosen. Heralding a new era in music for the UK, LAB11 is a bespoke venue offering the very best in sound and lighting and hosting the ultimate entertainment experience. The launch of LAB11 is spearheading the redevelopment of Digbeth and is set to become one of the leading destination venues in Midlands and across the UK. 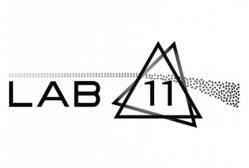 LAB11 is commited to supporting emerging talent from the Midlands, across the UK and ultimately globally and providing them with a unique platform from which they can build their profile. Ultimatly opening six days a week, LAB11 will the the only destinmation on the Midlands to see the best in house and techno via the TRMNL Presents… nights but also the best in wider dance and electronic music. Every Friday night, LAB11 will host a diverse mix of genres and showcase the very best in emerging dubstep, drum ‘n’ bass, disco, electro, bass, Detroit and much more. Tickets are available from Skiddle, Resident Advisor and Data Transmission. BLOC to re-home for 2012.